Most companies are aware of the importance of knowing customers, but few comprehend all that this recognition entails, especially online. The majority is still keeping their heads in the sand and overlooking the high costs of stepping away from clients. The Global Customer Service Barometer, after interviewing more than 1,000 adult customers on how they view their brands, brings disappointing results.38% of the participants believe that businesses are not customer-oriented and fail to provide enough attention. As data shows, many people are frustrated from how businesses are still using the same outdates methods to interact with their customers and not paying enough attention to them to satisfy their needs. On the other end of the spectrum, many mid to large businesses perform their due diligence researching the market but do not know ways of applying the results. They are unable to integrate that data into actionable insights which can be implemented in their selling process, marketing campaigns or on their websites. Regardless of the size of the company, the overwhelming question is: how do you use the marketing data to make sure website copy, design, navigation, and overall site structure will engage most visitors, if not all, and move a high percentage of them through the conversion funnel? When the average e-commerce store converts only 3-5% of its visitors into customers, you must pause and wonder what is stopping the other 95% from moving forward with the purchase process. Conversion optimization starts with gathering detailed market information. The more detailed the information, the more precision you will find in the optimization process. You then use that data to shape your website’s interactions with visitors. The most efficient way to address market concerns is through the creation of personas. But what are personas? And how can they help with conversion optimization? Personas are models, examples, and archetypes that humanize and individualize a precise target market. They are hypothetical individuals that represent target consumers. Through persona creation you should be able to relate to customers on an individualized level, to bring personalization, engagement and enthusiasm into your website through knowing what appeals to them and what turns them off. And because personas are at the helm of conversion optimization,they should guide every aspect of your website including user-interface and screen design, process flow, and web copy development. Too many websites cater to the masses and not to a single person. As a result, the copy is dull, the design is boring, and visitors are left frustrated. Creating your own personas will help you relating to the different types of personality of your customers and help you addressing their needs accordingly. When we first present the concept of personas to our clients, they frequently confuse persona development with market segmentation. These are not the same. However, persona creation relies heavily on market segmentation. In order to create personas, you need to understand the market segmentation and the various customer profiles you compiled with your team. Segmentation is the division of the market or population into subgroups with similar motivations. Keep also in mind that there is a huge difference between marketing to a business (B2B) and marketing to a customer (B2C) although both of them are selling to a person. The widely used bases for segmenting business to costumer markets usually include geography, demography, personality (behavior), and psychograph factors.As for the bases used for segmenting business-to-business (B2B) markets,they are different, they include the location, the company type, and the behavioral characteristics. This article focuses more on the techniques used in B2B markets during the personas creation process for such businesses. The use of persona is intensively growing, as more than 93% of companies which exceed revenues and lead goals are using personas through segmenting their database accordingly to personalize experiences for their visitors. 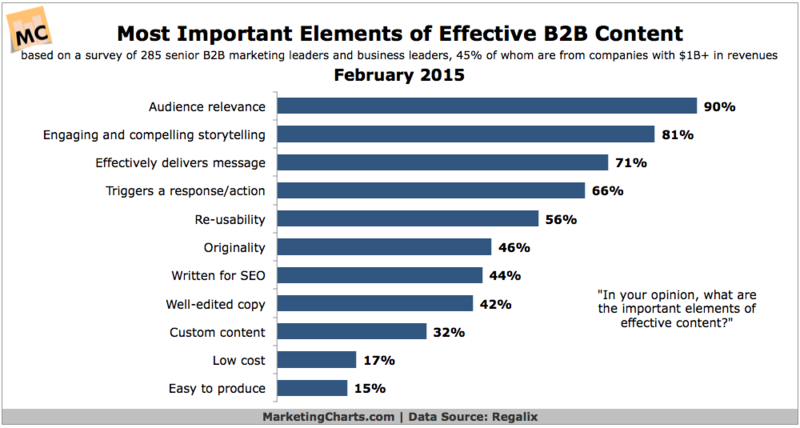 A recent study on the most important elements of effective B2B content has demonstrated that audience relevance ranks the highest with 90%. In another survey,with 640 global senior B2B marketing executives and business leaders, half of them in the internet and software industries, 69%of participants agree that understanding buyers needs or pain point is the most effective go-to-market strategy for a product launch. These studies show it’s now high time for marketers and business owners to put their feet on the customers’ shoes and start building up personas that reflects the real needs and demands of their customers. Every company, online or offline, must comprehend the market they are working in as well as the best techniques to better cater to their ideal customers. You can go in-depth and analyze the various demographics and similarities within the market to create segmentations and narrow the target market. This information must be quite detailed to create the ideal, target customer. 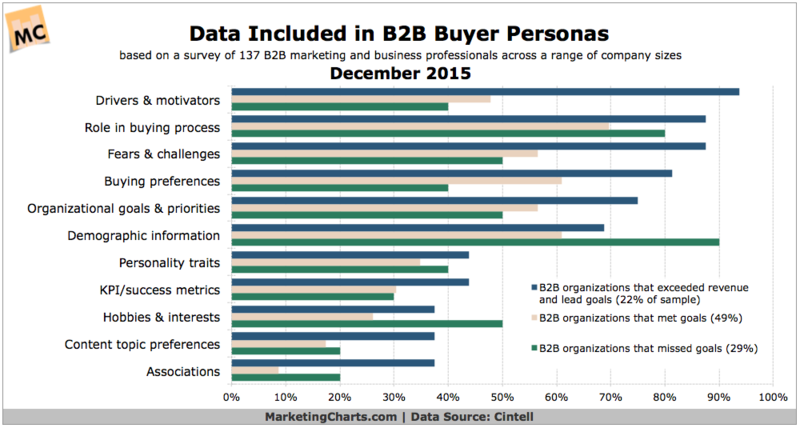 How Are B2B Marketers Building Personas? Cintell surveyed 137 B2B marketers to find out how they build up their buyer personas and what kind of data they use. The survey segmented these marketers into three different groups, as shown in the graph above.The first group, the one doing well by exceeding revenues and lead goals, was conducting qualitative interviews for both customers and non-customers, including the executive team and the sales people. The obtained data were more likely segmented by demographic factors than other fields mentioned above and their focus was oriented towards addressing the fears and motivations of their customers because these are more applicable to buyers as individuals. The three markets differ in income, personality traits, and needs. Their interests and motivations behind the purchase are different. One group is purchasing for their families, the other for themselves, and one for potential clients or home staging. The site’s goal is to appeal to all markets equally.Personas help you achieve this goal by guaranteeing you capture each group’s interest. In this scenario, we would introduce Jennifer, a 45-year-old homemaker. She likes to update her home furniture every year. She enjoys decorating her home and always needs to update because of her rowdy kids. She is price conscious but looking for something sturdy with a good quality. She just wants to ensure that her satisfaction is guaranteed because she needs quality items. Return policies are apparently imperative to her. Compare these traits to Evan’s, a 37-year-old builder, who must find great, unique pieces to stage the homes his company builds. He wants to find pieces that are neutral enough so that prospects can imagine themselves in the home. He also tries to find items that will peak prospects interest so he can sell them with the home. He is not as concerned about price but does have a budget. Finally, the website is targeting Sally, a 19-year-old college student who is rooming with two other friends. She needs cheap, nice furniture items that are a bit trendier. She is trying to make a quick decision because move-in is within the next couple weeks. She needs white-glove delivery and someone to build the pieces. She is looking for practical solutions for their tiny space and considering items with tons of storage. Selling to these individuals is a lot easier than to a general market segment because you can put yourself in Sally, Evan, and Jennifer’s shoes. You can anticipate their concerns and personalize the experience to them. Understanding what makes different segments tick, what appeals to them and what turns them off. Relating to the various personality types that will come and address their needs accordingly. Recognizing that all users come at different buying stages. Evoking empathy within site developers, marketers and sales teams. Knowing competition well starting from which market segments are likely to identify with a competitor more than with you, and why? Many philosophers and psychologists have played with the concept of temperaments at length, beginning with Aristotle, in 325 BC, passing by Carl Jung in the 1920s, to a modern day version with David Keirsey in the 1950s. The concept boils down to the fact that humans carry particular sets of characteristics. For a marketer, to understand what makes each of the temperaments tick can help move the needle in conversions. While you create each persona, you can also assign a temperament (or combinations of them). That way, when designing, you may have Jennifer in mind, but now you also have in mind that she is a caring persona, triggered and motivated by social proof, which can be something to address on the website. These are the four temperaments to consider. A logical persona is meticulous, methodical and detail-oriented. When a visitor of a logical nature enters your site, she searches for every single detail of your product and services. She also expects your site to offer answers in a logical, systematic, and easy-to-locate fashion. Someone who is logical is going to research your product or service longer, reading and looking for information about it more than others. The purchasing decision for logical personas comes as a result of researching, shopping around, getting to know more of your and your competitors’ offers. How to address logical personas? Contain answers to all questions about your company (date of establishment, range of products and services offered, reputation). Refer visitors to methodology, about us page, or the blog. Detailed product pages, with rich descriptions. Systematic explanation of your services. The caring persona is impacted by people. A caring visitor to your site looks for reviews and testimonials. She searches for the opinion of others, as well as the number of customers who have used your product or hired your service. People with this temperament are trusting. Their buying decision is impacted by what others feel and say about your company. The purchasing decision for caring personas takes some time.They are not disciplined in considering different alternatives which makes selling them a little bit hard. How to address caring personas? Present news quotes and announce awards received. Display reviews on product pages. The impulsive persona buys fast and regrets fast. The credit-card-in-hand type of visitor may purchase on impulse but often regrets the decision. Attempt to understand how to get them to click right away, with the right elements visible. However, try to avoid the regret phase by giving them the information they will need through the conversion process. Impulsive personas are determined to make a purchase. They need to find a reason to buy from you, as soon as they enter your site, or they will leave to make the purchase on another site. Impulsive buyers are an e-commerce company’s dream client. How to address impulsive personas? Present benefits in the form of 3 or 4 extremely convincing bullets. Include a big “call to action” in a bright color, immediately following the benefits. Make sure the check-out process is smooth and fast. The aggressive persona is very competitive in nature. 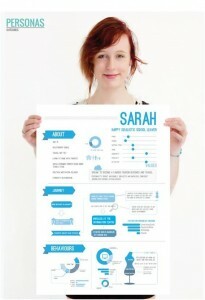 This persona type likes to be outstanding and to acquire the finest products and services. Convincing them that you offer premium, first-rated products or services will help you win them over. These personality types strive to be the best by flushing out the competition. If an aggressive persona visitor sees a reason that your product or service will place them ahead of the crowd than you can be sure that they will be loyal customers. How to address aggressive personas? Offer great incentives, as the best price, the newest product. 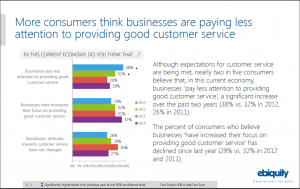 Give a good reason why your product or service is the best and what it will do for them. Do you need to address all 4 persona temperaments in your webpages? 1. Depending on what you are selling you can determine which temperaments you will probably address. If it is something rather expensive, whatever personality type you are dealing with, the likelihood of more methodical instincts will be present. That does not dismiss the fact that many spontaneous individuals still want to buy cars and diamond rings, however, you can expect them to ask “more” questions because it is a greater buying decision and investment. High-value transactions (contracts worth of thousands of dollars) will be meticulously reviewed in a very methodical format. For smaller decisions, you are more likely to have all 4 temperaments. 3. Within a single page, yes, you absolutely need to have the language that can address these 4 temperaments. In the video below, part of one our webinars, Ayat Shukairy and Khalid Saleh talk about the different persona temperaments and explain psychological understandings of personas in a historical progression.